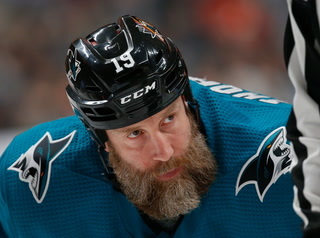 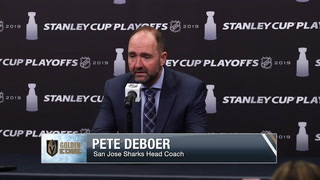 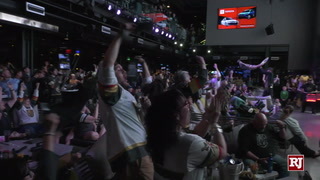 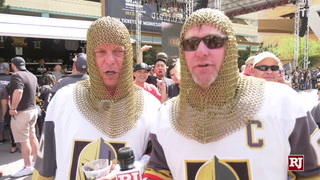 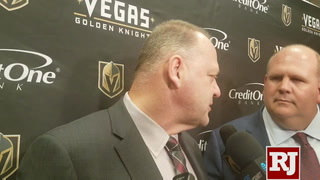 Bryan Salmond, Steve Carp and David Schoen go over the Knights’ overtime victory against the San Jose Sharks despite a three goal lead early in the game. 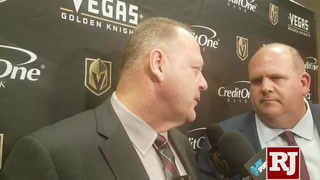 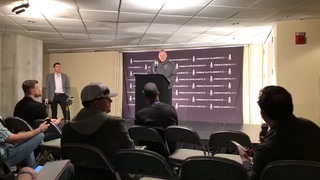 Bryan Salmond, Steve Carp and David Schoen go over the Knights' overtime win against the San Jose Sharks despite a three goal lead early in the game. 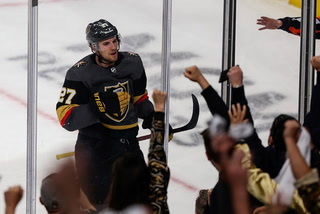 With a 4-1 lead in the second period, the Knights were on their way to a win over the San Jose Sharks Friday night at the T-Mobile Arena. 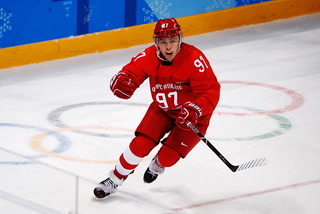 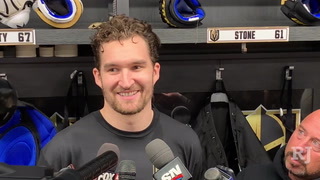 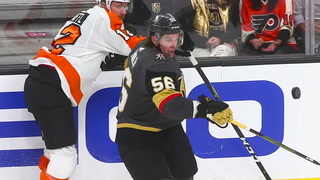 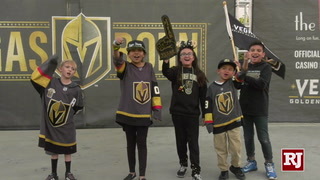 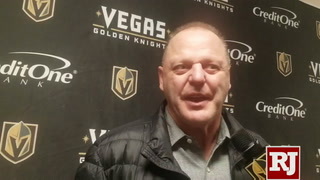 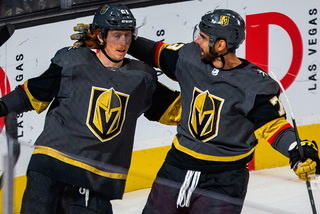 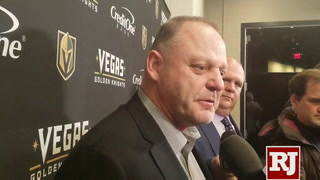 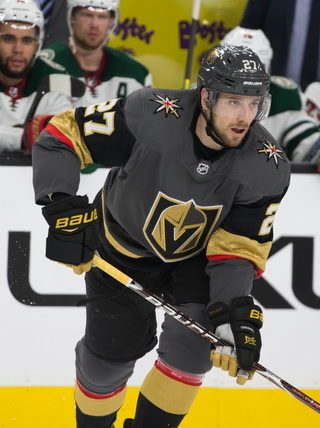 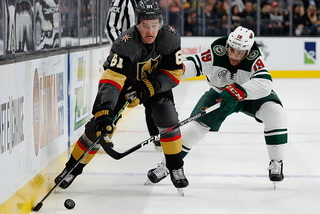 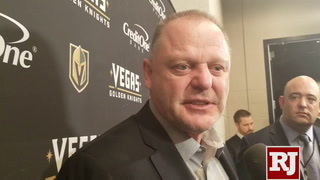 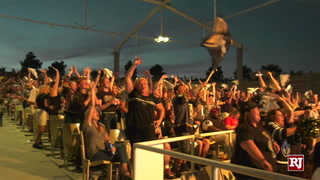 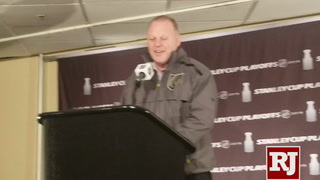 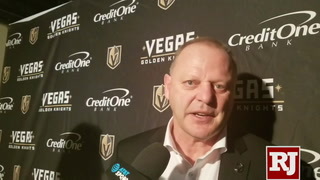 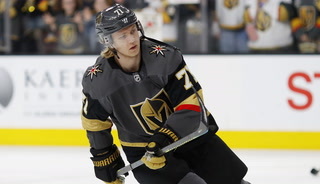 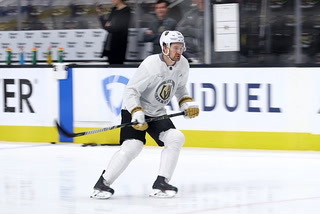 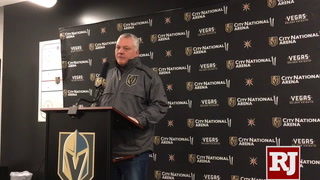 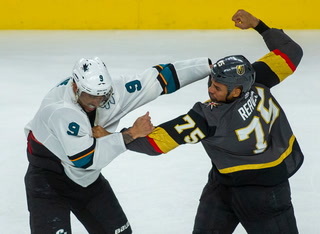 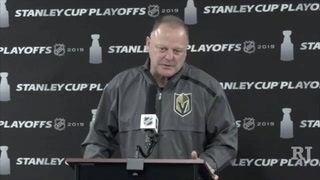 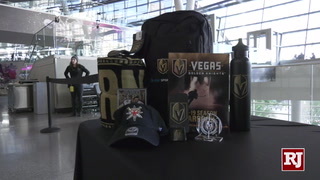 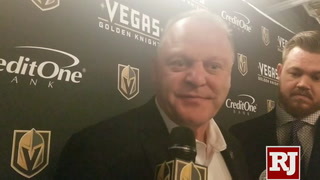 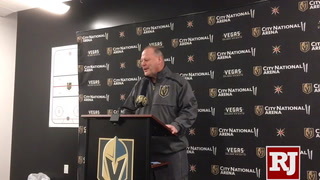 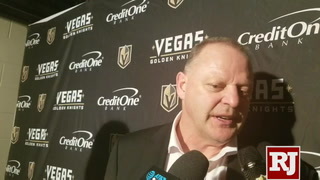 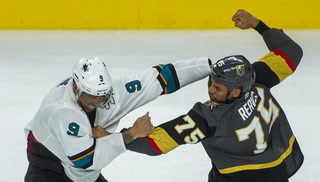 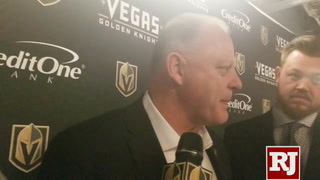 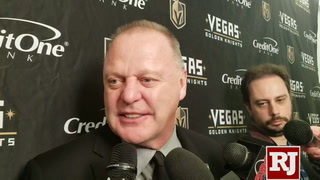 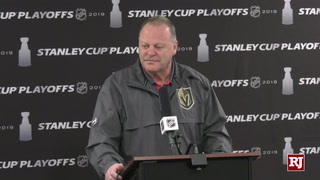 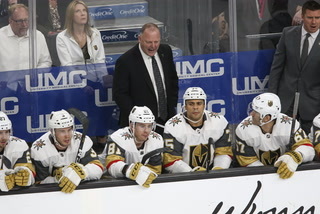 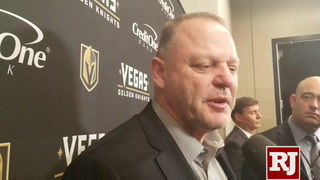 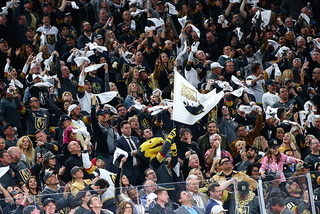 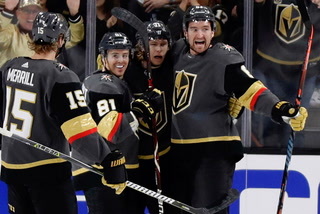 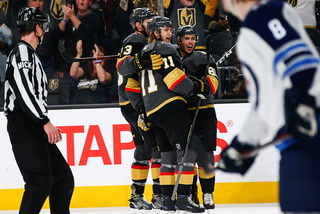 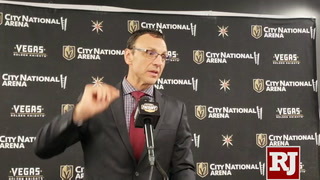 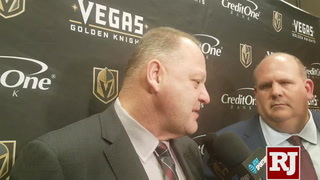 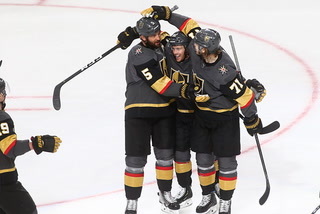 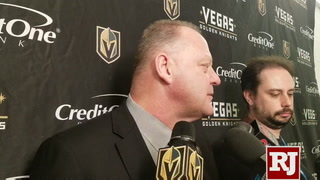 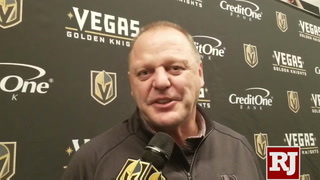 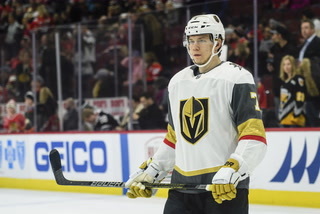 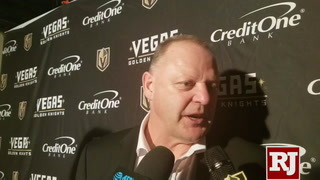 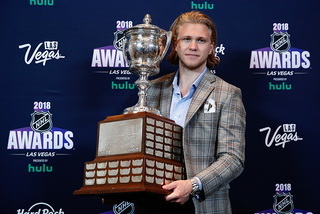 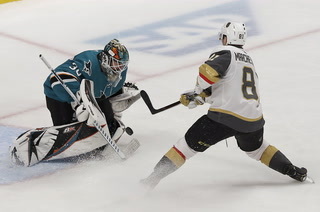 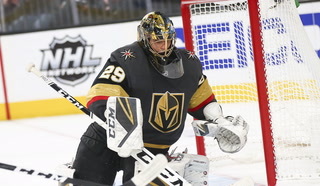 But the Sharks changed goalies, and gave the Knights all they could handle, pushing to overtime before Jonathan Marchessault got the 5-4 victory for Las Vegas in overtime. 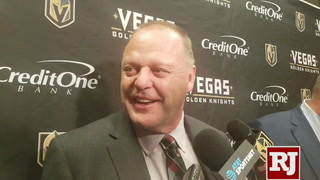 Bryan Salmond, Steve Carp and David Schoen go over the Knights’ overtime win against the San Jose Sharks despite a three goal lead early in the game.